The International Labour Organisation has conducted their latest analysis of the Labour Code of Ukraine. The two earlier reports were conducted in 2003 and 2009. However, according to the announcement made by the ILO national coordinator Serhiy Savchuk they were of a view the draft code should not become law. This was said during the ‘Reforming Labour Law. 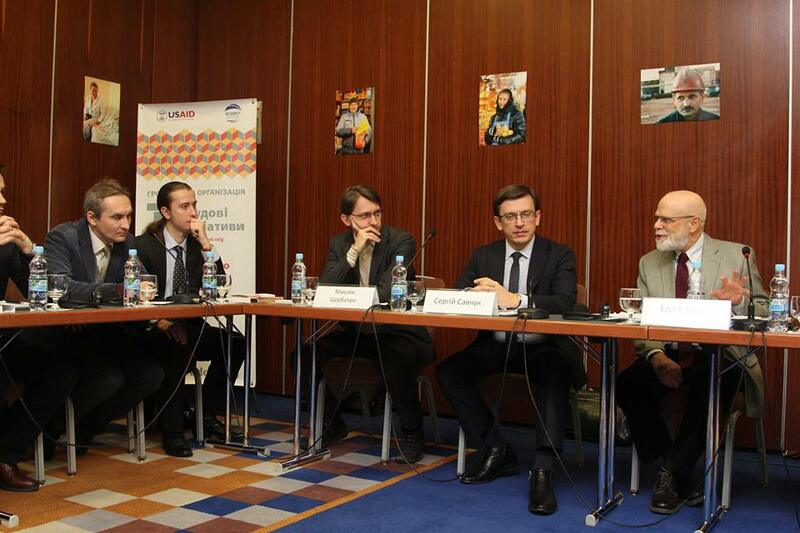 Best Practices’ conference organised by Labour Initiative (Labour & Employment Law) in Kyiv. The main issue to be addressed by the report is correspondence of the Labour Code law draft #1658 with the main 8 founding principles of ILO. Special attention will be given to ‘priority’ conventions ratified by Ukraine. It was noted by Savchuk that two of the conventions are not properly enforced. They are: 1) convention #81 on ‘Labour Inspection in industry and commerce’ and 2) #129 on ‘Labour Inspection in Agriculture’. He added that ‘statistical data shows exponential growth of informal economy. We are talking here about extremely weak system of Labour Code enforcement’. Savchuk disagrees that shadow employment can be tracked by mechanisms of financial monitoring: ‘No financial monitoring can come to an enterprise and see the conditions in which people work’. Conventions of technical nature too will be covered by the report. Many of the Labour Code positions have been transferred to it from previous editions of the law draft. ILO has already provided analytical commentary on those and thus will not address them in the new report. The biggest challenge of the report is testing the Labour Code against the ‘best practice’ of the EU countries. ‘There are too many problems and it is difficult to compile sets of good practice examples for all of them’. ‘Additional problem we have is with regulating the aspects of the Code which are different from those present in international labour standards and which are not part of Ukraine’s international obligations’ noted Savchuk. ‘But who is to decide that flexibility approach of Denmark is good, or that security approach of Germany is bad? Such issues open space for tripartite consultation mainly with trade unions and employers’. When asked about whether propositions of the conventions will be checked for correspondence with Ukraine’s Constitution, the expert replied that the report first and foremost analyses correspondence of the Labour Code with Ukraine’s international obligations and ILO conventions supersede constitutional law of signatory countries. On the possibility of amendments to the law in the second reading (that may weaken compliance with ILO recommendations once they are made and taken into account), Savchuk said that anything is possible. Although he specified that the head of the Standing Committee Lyudmyla Denisova was given a condition to not change the text of the law before the report is complete. Previous LIFT THE BAN ON THE COMMUNIST PARTY OF UKRAINE! BUT OPPOSE NEO-STALINISM!